According to the American Heart Association, walking has the lowest dropout rate of any physical activity. Walking is low impact; easier on the joints than running. It is safe – with a doctor’s okay – for people with orthopedic ailments, heart conditions, and those who are more than 20% overweight. In addition, research has shown that you could gain two hours of life for each hour of regular exercise! That quick stroll around the block seems a little more worthwhile now, doesn’t it? Walk with a Future Doc is a walking program for everyone interested in taking steps for a healthier lifestyle. What better way to start your weekend than on your feet making strides to help your heart and improving your general health to live longer! While you walk at your own pace, you’ll have the opportunity to have questions answered by local physicians and medical students. The Walk with a Doc program was started in Columbus, OH in April of 2005 by Dr. David Sabgir and has now expanded throughout the country. You don’t need any special gear and there are no special rules. Just put on a pair of comfortable shoes and walk alone, with friends, a partner, family or with a group. 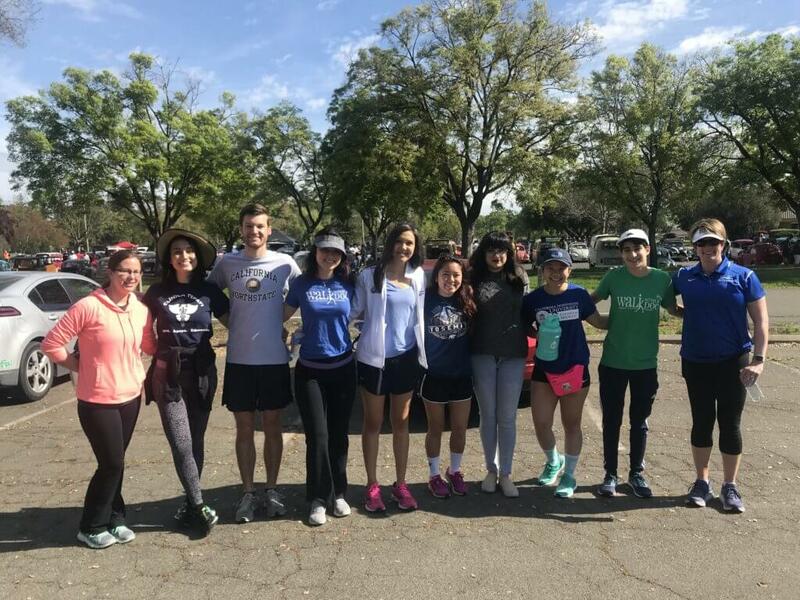 This medical student-led group in Elk Grove is a fun and safe place to go for a walk, learn about health, and meet new friends. The event is FREE and all are welcome! Walking the 1st Sunday of every month from 10-11 AM beginning April 7, 2019! Dr. Sarah J. Preiss-Farzanegan, M.D.